With not much to do on this beautiful Sunday, I decided to go chase a silly blog post idea. I got in my car and went to Dollar Tree and bought five random, knockoff food items. I then headed to Wal-Mart and bought the real version of the product. If you have followed my blog for a couple years now, you know that I once wrote about my views on when to buy premium and when to buy generic. On this table you will find the products I purchased for my very special (silly) Sunday blog post. I then took my grocery bags over to Sidney’s house and, one by one according to the similar product, I presented her with both the name brand item and the off brand item. I hid behind the kitchen counter preparing the plates while she sat on the couch so she had no idea which product was which (although just by looking when I presented them to her she had an idea). She then thoughtfully tried each product and told me which one she liked best. Let’s get to the results! I first had Sidney try an All-American, stain-your-fingers-orange classic. She sampled Cheetos and a similar product called Cheez Doodles (I wish the word “Doodles” ended with a “z” also). It didn’t take her long to choose which one she liked best. 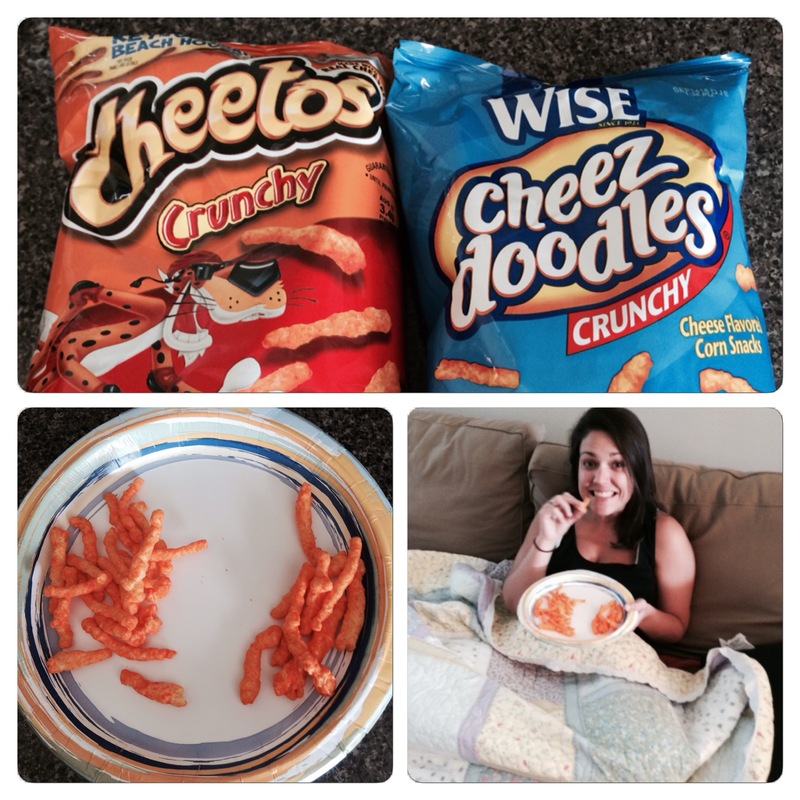 She identified Cheetos as her favorite, citing its crunchiness and freshness as the main factors in her selection. On the plate, the real Cheetos are on the left. This was the competition where Sid knew immediately the real thing from the impostor just by looking at the plate. 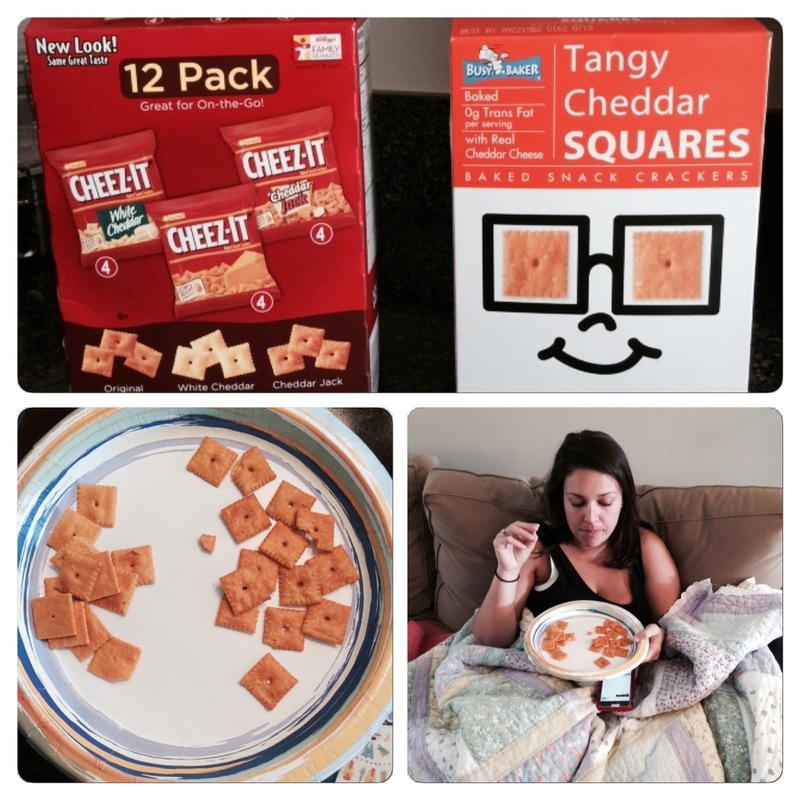 The brighter, crispier looking Cheez-Its definitely outshined the Tangy Cheddar Squares in appearance. It did in taste as well. Sidney remarked that the Cheez-Its tasted way cheesier than the “stale” Tangy Cheddar Squares. The real Cheez-Its are on the right. I had Sid decide her preference on a famous breakfast pastry. 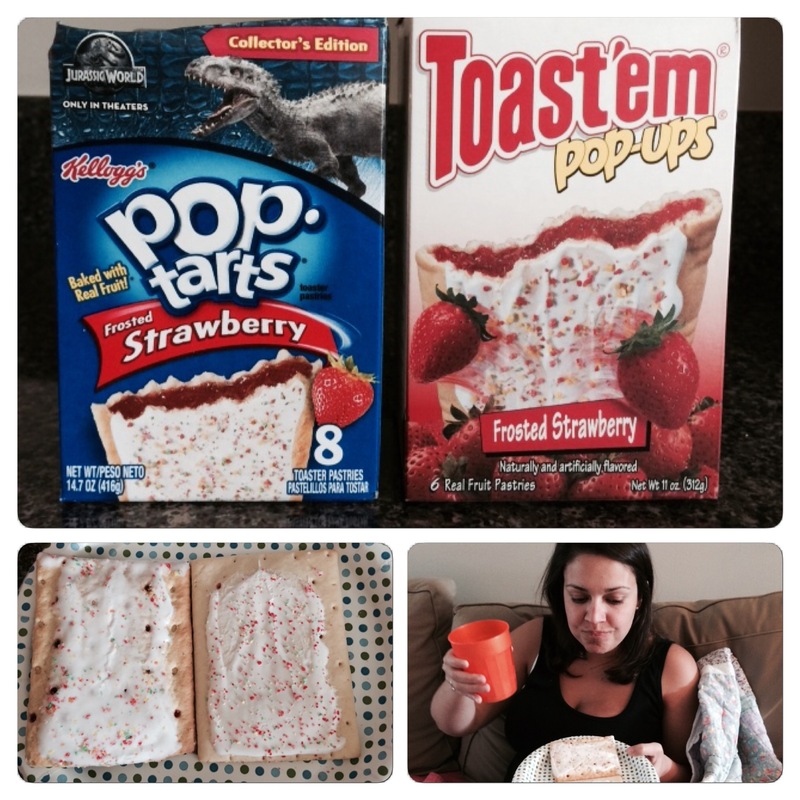 Kellog’s Pop-Tarts went up against Toast’em Pop-Ups. This was another battle where you had a pretty good idea which was the legitimate product just from a quick glance. Once again, the prototype won out. Sidney preferred the Pop-Tart over the Pop-Up because she simply said the latter tasted like “cardboard.” I tried both of them as well and I have to say that although I didn’t think the generic pastry tasted that bad, the Pop-Tart was definitely superior. Do I even need to tell you which one is which? Knowing that I needed to throw a cereal into the mix, I went with Fruity Pebbles. With the next “Jurassic Park” film set to debut soon and with the clever spelling of “Dyno” I knew I had to go with it. Sidney and I will both say this, these two products tasted the most similar to one another than all the other tests. However, Sidney gave the edge to Fruity Pebbles because they had a seemingly more natural taste than the Dyno-Bites. I thought both tasted very pleasant. Although I said they tasted the most similar to each other than the other four trials, at the same time they also had distinctive tastes. You could have fed me either one of them and I would have been happy. The legit brand is on the left. It was a no-brainer that I would introduce my favorite food into this fun taste testing blog post. I had the giant of the mac & cheese world, Kraft, go up against a brand so obscure that I had to scour the cup of the knockoff to find its maker. In tiny white lettering, I saw the phrase “Distributed by Greenbrier International.” Obviously the company was just fine going by the very generic “Macaroni & Cheese Dinner” billing. I prepared both cups the exact same way and then transferred the contents into a couple of paper bowls for unbiased tasting. Even with this measure taken, it was two totally different sights. The Kraft came out creamy and vibrant, the off brand came out dry and dull. This one was no contest, Sidney scored the Kraft dinner way higher. It was just much cheesier and fresher. 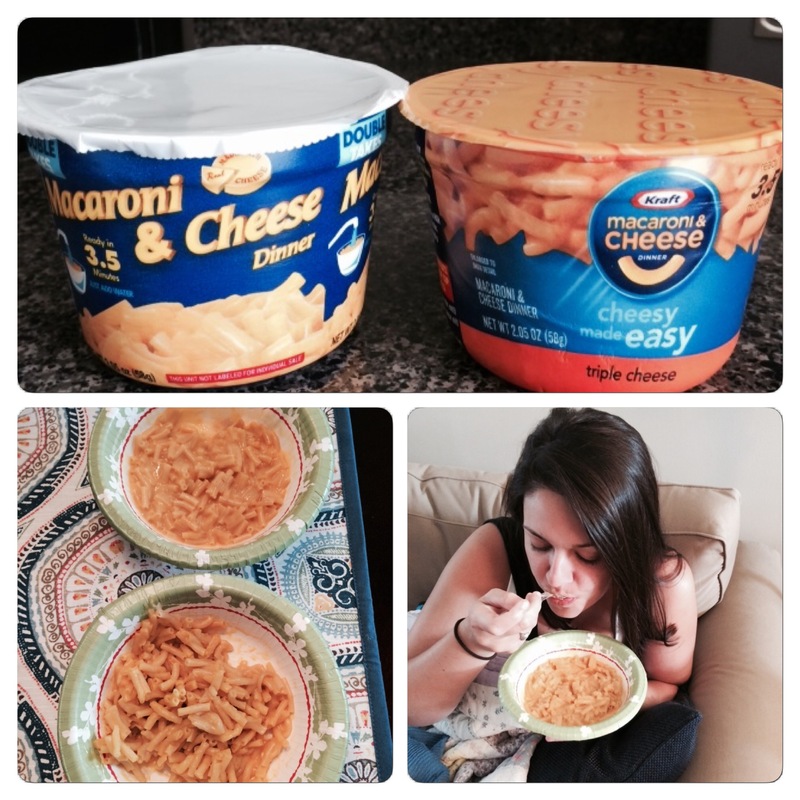 The Kraft Mac & Cheese is on top. If you are scoring along at home, the premium brands went 5-0. 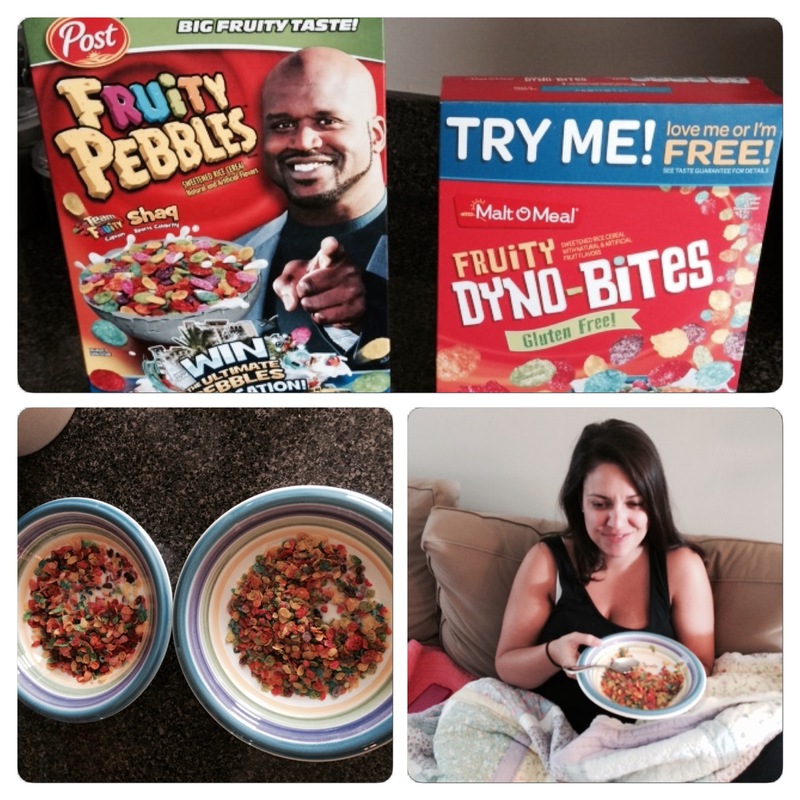 Except for the Fruity Pebbles, according to Sidney’s taste buds, it wasn’t even that close either. These results suggest that there really is something to say about that brand written on the box. In the aftermath of this all, Sidney will be keeping the Cheetos, Cheez-Its, Fruity Pebbles, and Pop-Tarts at her house. I will be bringing the misfit brands back to my place. Hey, I am a guy, I am a little easier to please. Thanks to Sidney for putting up with my silly idea, you never know what is going to be asked of you when you date a blogger. Don’t Blink. 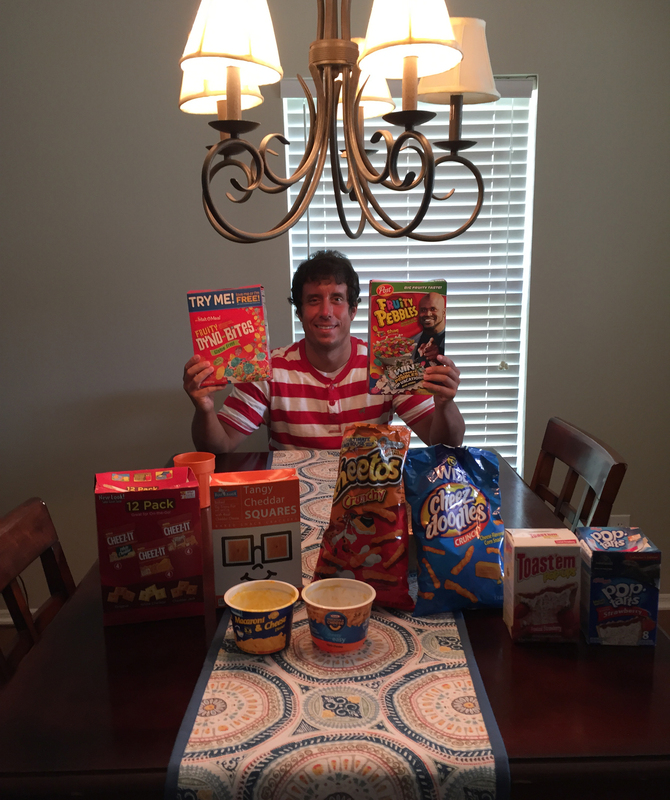 This entry was posted in Uncategorized and tagged Cheetos, Cheez Doodles, Fruity Dyno-Bites, Fruity Pebbles, Greenbrier International, Pop-Tarts, Toat'em Pop-Ups by brent. Bookmark the permalink. Technically Toat Em Popups were the original and Pop-Tarts came afterwards. Are you sure?! That’s crazy!